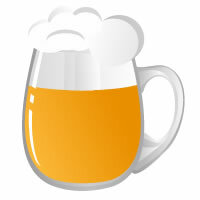 All Grain Weizen/Weissbier homebrew recipe. This homebrew recipe uses the following ingredients: Flaked Wheat - US, Acidulated Malt - DE , Bohemian Pilsner - DE, Wheat - BE, Melanoidin Malt - US, Bestmaltz Cara aroma, CaraBlonde, Rolled Oats - US, Hallertau Hops, Wyeast Weihenstephan Weizen 3068 Homebrew Yeast, Gypsum. This recipe was cloned from German Wheat.